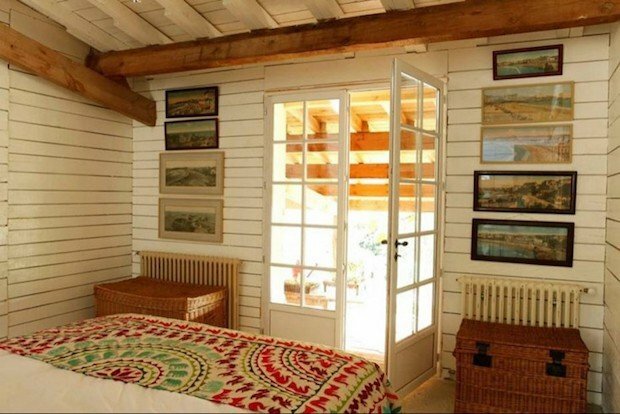 Designer Isabel López-Quesada’s summerhouse cabin in Biarritz, France is definitely unique and memorable. 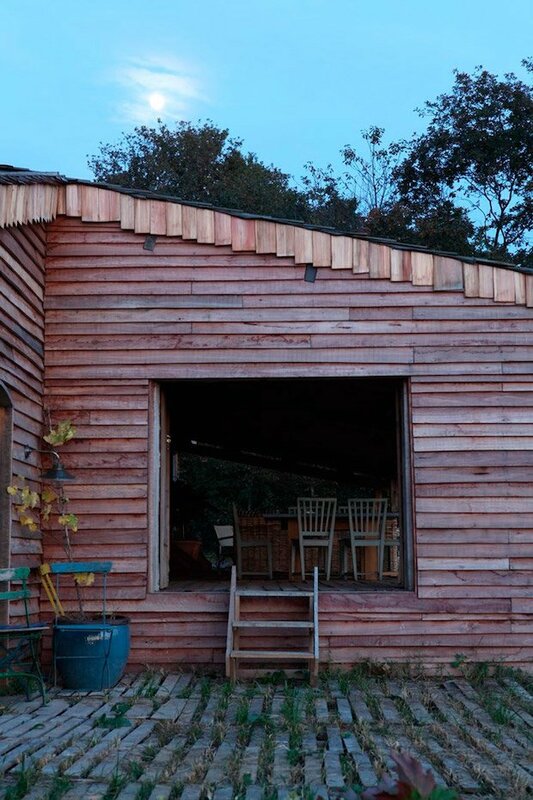 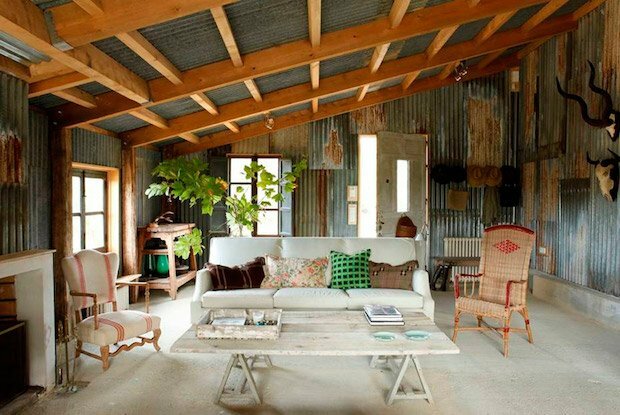 This former chicken coop in a pheasant farm was transformed into a very chic dwelling. 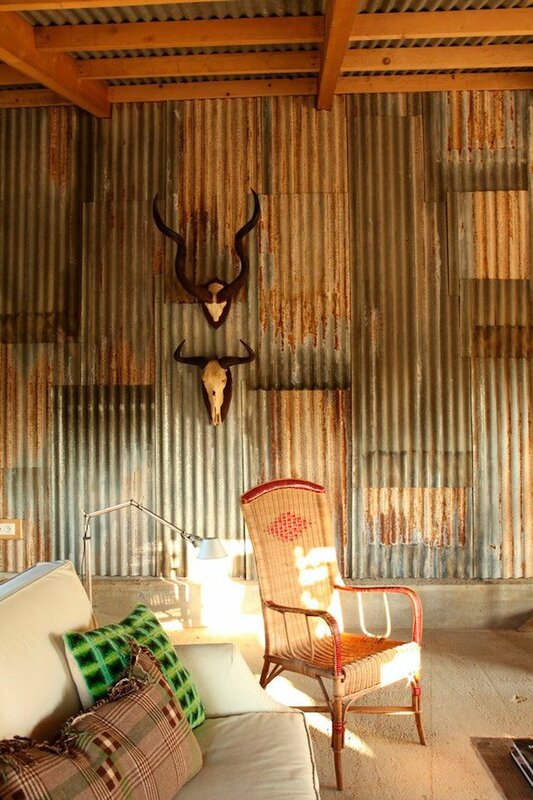 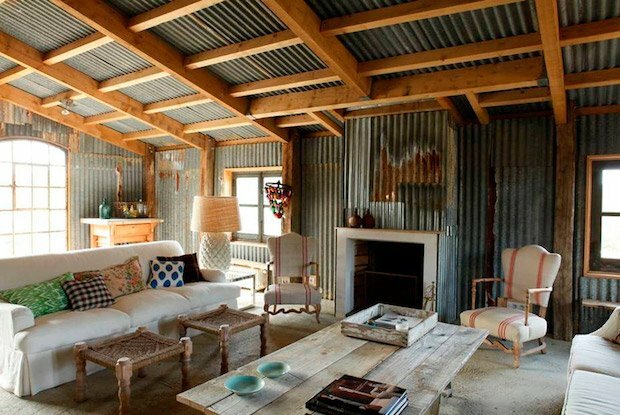 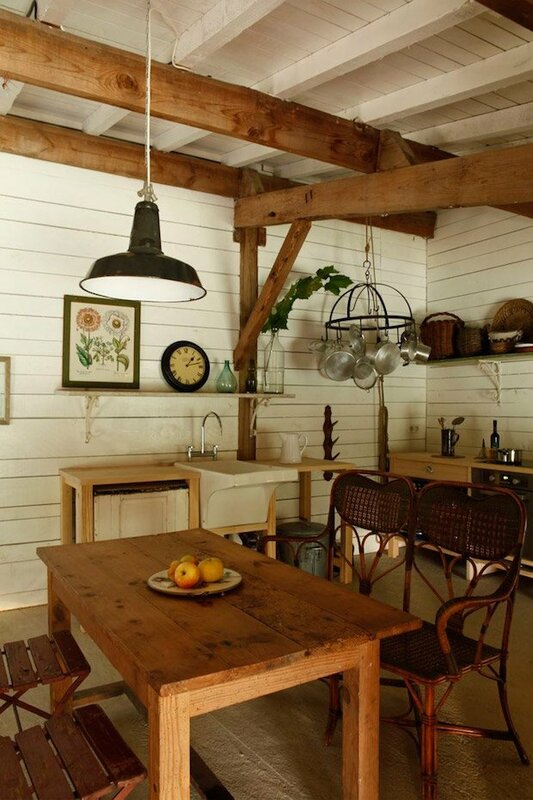 Remains of the home’s past life are still visible– from the corrugated metal walls to the exposed beams and French rustic decor and finishes. 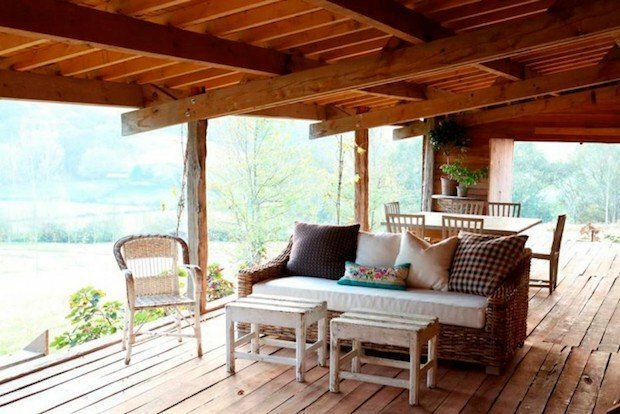 The open-air living and dining area is perfect for breezy, sunny afternoons. 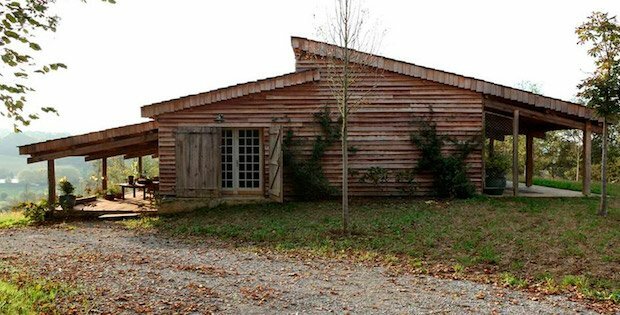 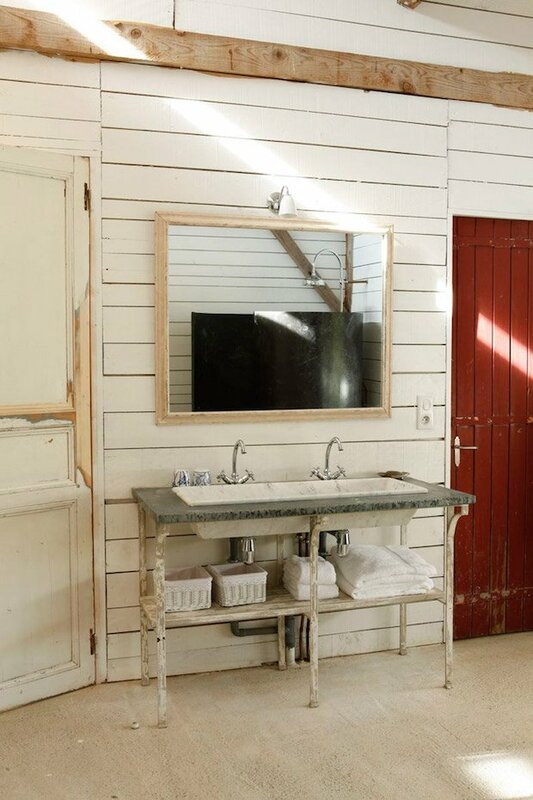 Transformed from corrugated chicken coop to a rustic-luxe cabin, on a former pheasant farm—must be France.